Coffee for Literacy is an initiative started to fund literacy projects in a sustainable way. The Coffee for Literacy project is one of the funding branches of the non-profit Sustainable Literacy. Sustainable Literacy is a faith based non-profit that is dedicated to bridging the literacy gap. The Coffee for Literacy project started in August of 2017 when Martin Coffeehouse opened in Martin, Tennessee. Wherever your cup of inspiration may lead you, know that with each cup of Martin Coffeehouse brews you are supporting both local and global initiatives. Martin Coffeehouse donates 10 cents from every cup to Sustainable Literacy for their literacy projects in Nepal and Kenya. Sustainable Literacy bridges the literacy gap through school supplies, letters of encouragement, and libraries in rural areas. Learn more about Sustainable Literacy by clicking HERE. So order a french press for the table, chart your next course in your journal, and stay a while! For every cup of coffee sold, Martin Coffeehouse donates 10 cents to building and supporting library projects. 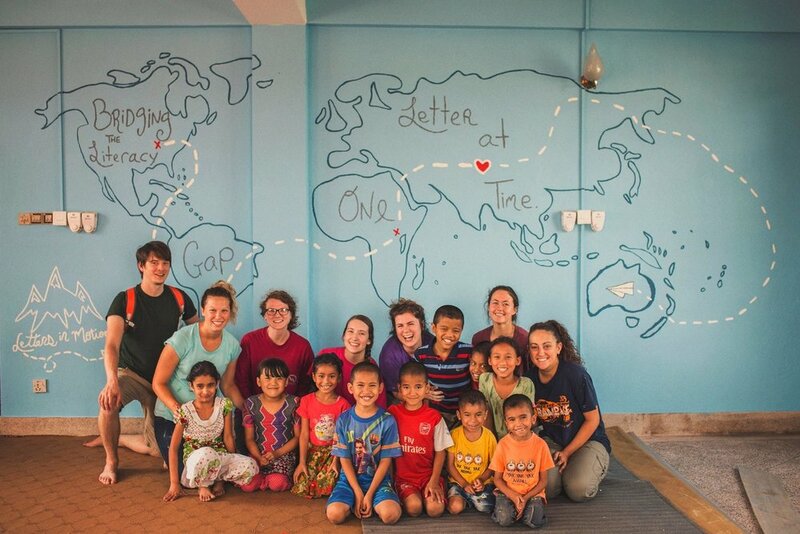 So far, Martin Coffeehouse has completed one library project for the Collins Children's Home in Kathmandu, Nepal. By the community in Martin, Tennessee purchasing 50,000 cups of coffee in less than 1 year, we were able to complete our first library project. John and Courtney Sellers have set out to build a self-sustaining structure that makes a long-term impact in rural communities in Nepal and Kenya through literacy projects. 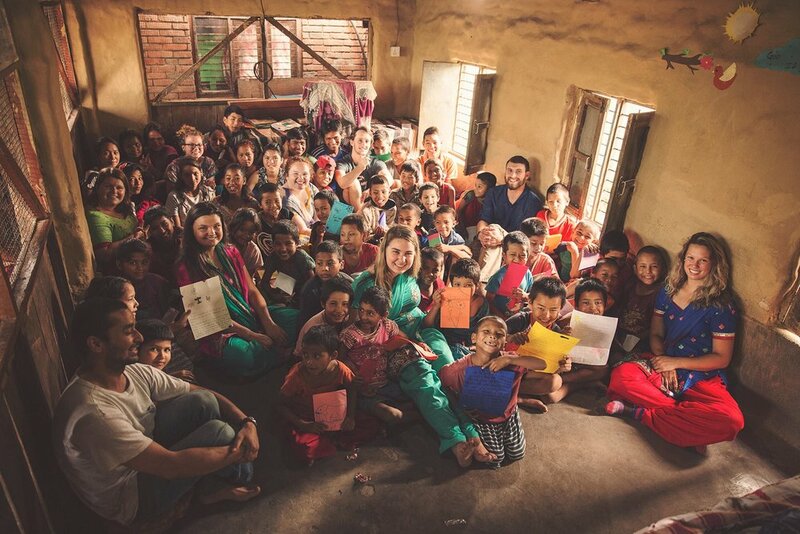 Previously, the Sellers have promoted literacy in both Nepal and Kenya by delivering school supplies and letters of encouragement to children in schools, orphanages, and children's homes. 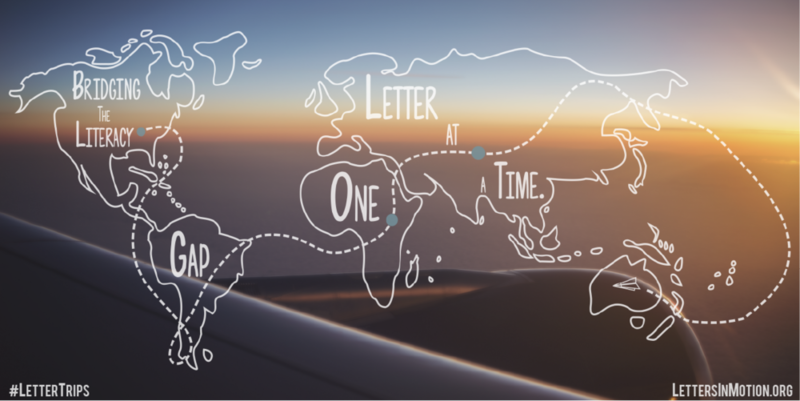 Letters in Motion has collected over 15,000 hand written letters from 7 different countries, numerous schools, churches, businesses, and colleges all to bridge the literacy gap one letter at a time. "This was proving very beneficial, but we wanted our work to be self-sustaining-- we needed consistent funding. The most challenging part of building a self-sustaining model is making it easy for anyone to get involved. We wanted to provide an opportunity for anyone to be able to make a difference." That's why the Sellers created Martin Coffeehouse where 10 cents of every cup goes to building libraries and literacy projects in Nepal and Kenya. 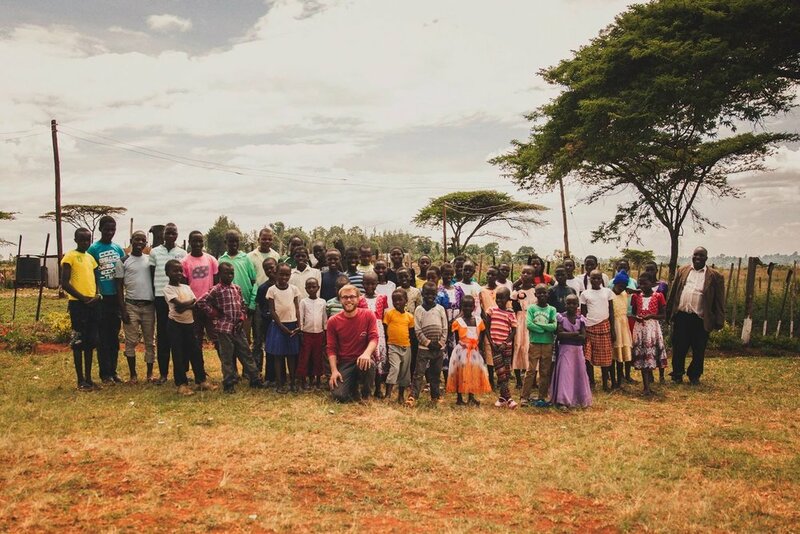 The more that Martin Coffeehouse grows in this local community, the more it is affecting change in a rural community abroad. To learn more about our outreach check out our non-profit Letters in Motion. We would love for you to join the community for Literacy Advocates! We have a few ways to get more involved the first step is really easy! Drink more Coffee for Literacy coffee! We love our 100% fair trade organic coffee and think you will too! We only partner with coffee shops that are committed to serving the best and are responsible in the coffee industry. We have a ton of cool merchandise that we sell to bridge the literacy gap. Becoming an official Literacy Ambassador means you get to represent what we stand for, making an impact in education through literacy! Here is how it works; sign up through submitting the application below. We will follow up with you with a interview. After that you will get a private link to start sharing and selling! Here is the coolest part, all of the product you sell you get points for which you can redeem off our affiliated coffee shops, new merch and traveling on literacy trips! We are always looking for more partners to join our literacy initiative. increases company moral and gives a ROI beyond the bottom line.